What does it take to capture 50-year-old billionaire Richard Li‘s (李澤楷) heart? Although actress Isabella Leong (梁洛施) gave birth to their three sons, Richard refused to marry her. 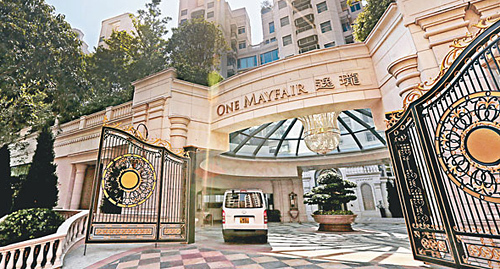 Eventually, the pair split up in 2011 and Richard became Hong Kong’s richest bachelor again. 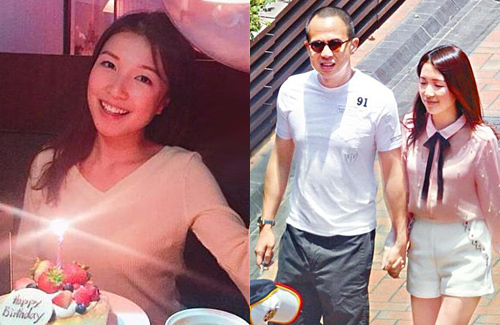 Three years ago, Richard started dating Miss Hong Kong 2015 second runner-up, Karmen Kwok (郭嘉文) and has been in a stable relationship ever since. 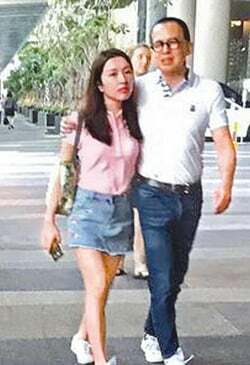 While 25-year-old Karmen is youthful, many were surprised that her ordinary looks would catch Richard’s attention, given that his ex-girlfriend Isabella Leong was a classic beauty. Richard treats Karmen very well, taking her on many international vacations and gifting her with a luxury property. He would even be her driver and take her around on outings. Richard and Karmen’s relationship first surfaced in 2015, when the pair was spotted vacationing in Japan. At the time, Richard did not directly deny dating Karmen, but did not want to talk to the press about her either. Recently, the couple was seen in Thailand together. Asked to comment on their relationship, Richard said, “We are fine, thank you.” His response confirmed that the couple is still in a stable relationship. As the public grew curious what attracted Richard to Karmen, the media dug further into her background. Born in a modest family, Karmen graduated from City University of Hong Kong with a business degree. After being placed in Miss Hong Kong, she hosted several TVB variety programs. Allegedly, Karmen’s pure heart and non-materialistic personality attracted Richard the most. She was loyal in love and had few rumors in the entertainment industry. She had a appreciation for mature men who were established in their careers. Although Karmen is not materialistic, Richard wanted her to live more comfortably and lavished her with a $100 million HKD home for her 25th birthday. 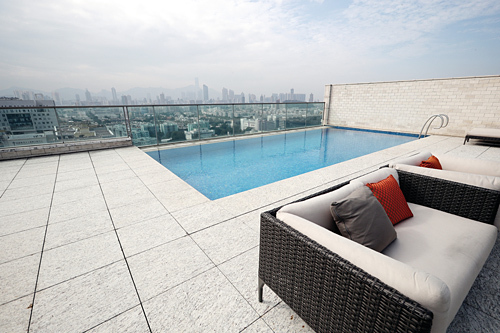 Situated inside the One Mayfair residential complex in Kowloon Tong, Karmen’s new 2100-square-feet home comes with a 1800-square-feet lounge space and swimming pool on the rooftop. First of all, let me say I am not lashing out at the translator of this article, like some readers do. The writer is only translating. What is wrong with Karmen Kwok’s look. I find her rather attractive. Put lots of makeup on her and she will be stunning. Take the makeup off Isabella Leong and she is average. The problem in Asia is this, when a man dates a celebrity, and then dates a lesser known woman, she is no match for the more well known celebrity, because the silly people see the celebrity as above the other woman in every way. Still stuck in centuries past. I must add though, none of us have a pure heart. That would make us equal to God and we are not. Karmen probably have good qualities that Richard find adorable. We do have to ask though… Is this about love, and not a mnemonic an trying to maintain his youth by dating a woman half his age? Is Karmen in it for love or money? If not, when she gets enough out of Richard to live a comfortable life, for life, it will be Goodbye, Richie Richard. He in the meantime, will move on to an even younger ‘plain Jane’. @bubbletea Do you think Karmen is in it for the money? @mindee to answer your question, yes. Another Michelle Reis in the making, no? @bubbletea Plain jane? lol….haha I guess they think he’s Richard Gere or something? If not for the money, why would women flock to him? They are all so young too esp that one that popped out 3 kids out of wedlock. Yes, they went for his face and heart I am sure. haha lol………. @wm2017 you are funny, lol. You sure got that right, he ain’t no Richard Gere, lol. If he was not Li Ka Shing’s son, these women would not have given him a second glance. @bubbletea hehehe I am glad you think so. 😀 haha lol…. The classic beauty as they claimed who popped those kids out before marriage really Love?? She was what 19 at the time and in love w/this grandpa homely looking fish? Seriously, I find it laughable that love is even in the equation for these women. @wm2017 A man rolling in dough will get all the honey even if he’s on the wrong side of 50 and has the face of a bulldog LMAO. For these cheap gold diggers money is all they see and why not especially if he puts them up in a hk100 million apt and gives them a jet setting lifestyle. @passingby I know, women have been doing whether asian showbiz or hollywood women, they have beenmarrying/attaching to dudes that’s either old,fat, ugly, old enough to be their dads/grandfathers since forever. $$$ is always the best motivation for these women no matter which era/country they are. @bubbletea Lol. You’re right about that. Richard’s father didn’t allow Isabella into the Lee family because she is not well educated. This new girlfriend is 25 (young) and has a degree (educated)…her boyfriend is 50 years old…twice her age. Will there be a generation gap? Oh no! Another young chick but at least she’s not 19 years old. Imagine she’s going to pop out a baby too? @cutie777 you never know. Karmen might pop out an insurance policy or two, who knows. Maybe they might be a good match after all. She has a degree, and Richard has one too. Hers is in finding old wealthy men, his is in bedding young girls.like I said, match well made, no?, lol.